Has spring fever hit your house yet? We had a week of really warm weather (up to 90 one day!) and I was afraid we were going to skip right over spring and jump to summer. Thankfully it’s been more like typical spring weather this week. We’ve had some rain, some cloudy days, and more beautiful sunny days. My boys are home from school for spring break and we’re enjoying the new season. I wanted to do a fun craft or something with kids while they’re home. Sadly, they were not as thrilled at the prospect of searching Pinterest for spring-themed crafts. 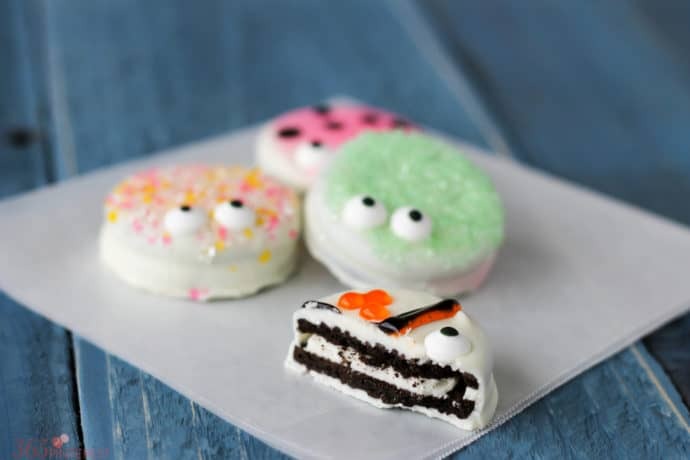 However, being boys (who are constantly and at all times hungry) they happily crowded into the kitchen to make these dipped Oreo cookies! 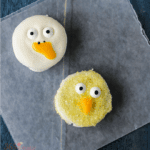 While the boys made their bugs, I made a cute little Easter chick and a duck. They would be really cute in this year’s Easter baskets, I think! 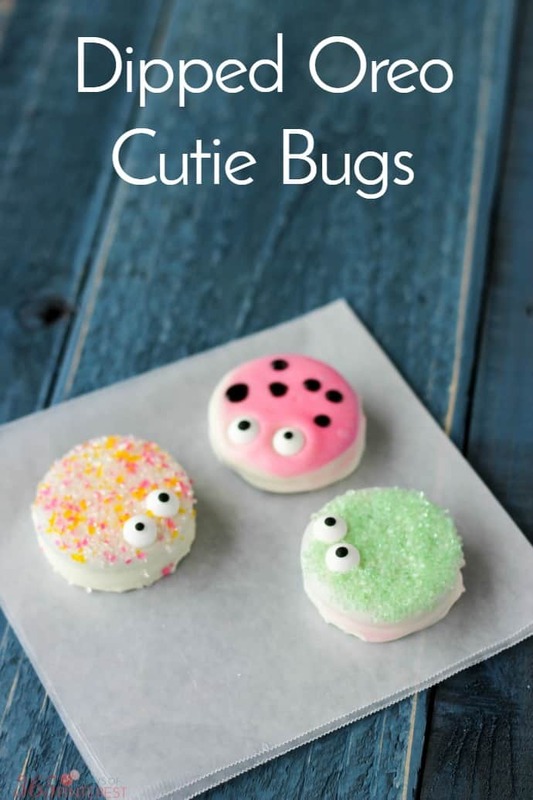 You can also put these on a stick and serve them as cookie pops! They are no bake, which keeps things simple. 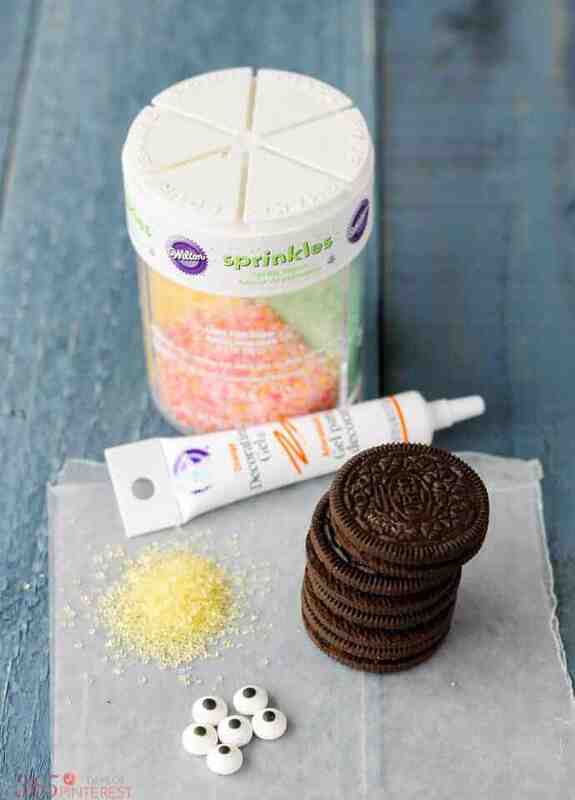 You just need a few supplies and a little time! 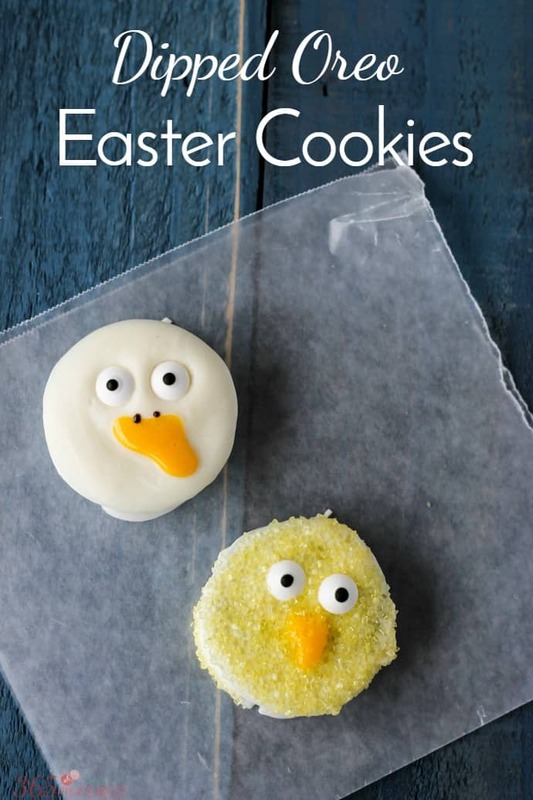 Dipped Oreo Cookies: easy Easter treats-They are no bake and you just need a few supplies and a little time to make this delicious and easy Spring Dessert!